Can I change the margins in my CV? Yes! First, open the Appearance tab in the left side menu. Inside the Appearance tab, there are sliders marked Section Margins and Paragraph Margins. Adjusting the Section Margins will change the amount of space in between sections. Adjusting the Paragraph Margins will change the amount of space in between entries. Please note: not all designs have fully customizable margins. 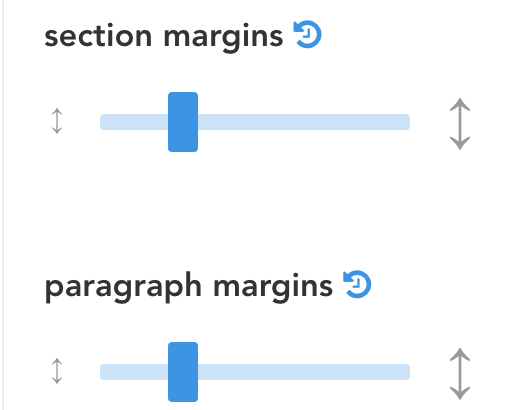 If you find that one of these sliders is missing, it means that the margins of that design cannot be changed. If you are looking to alter page margins in your PDF export, please read How do I manage page breaks on my PDF?